A hunting truck must be able to get into the woods, haul game and take it back to town. The right drive train is one of the most important of these requirements, and the bed needs needs specific features to carry animal carcasses easily. A winch is also one of the many important hunting accessories for a killer hunting truck. A hunting truck must have four-wheel drive (4WD) to drive off-road effectively. This type of drive train may also be known as all-wheel drive (AWD) for vehicles with four wheels. 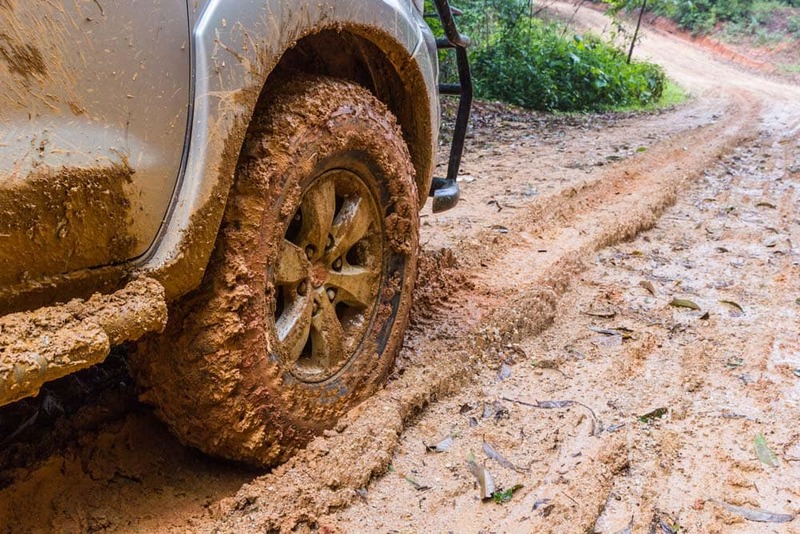 4WD delivers power to all four wheels simultaneously, and many modern trucks allow the driver to switch between 4WD and two-wheel drive (2WD) as needed. forward momentum with a minimum of wheel slippage. It’s most useful for driving on wet surfaces such as snow and mud. It’s also appropriate for moderate off-road conditions such as dirt roads, and even trails. Low-range 4WD creates significantly more torque and reduces the truck’s speed. It’s best for rough, dry terrain such as rocks and steep grades. Low-range 4WD is also useful for towing on smooth surfaces. A locking differential is also extremely useful for a hunting truck. This feature locks both wheels on an axle is if they were attached to the same shaft. It therefore forces both wheels to turn together, regardless of the amount of traction available to either tire on the axle. A locking differential is primarily used for driving on snow and ice in a straight line and should be engaged before the wheels actually start spinning. However, it must be disengaged before turning to avoid severe under steer. Never engage a locking differential on a dry surface as this will prevent you from steering at all. A hunting truck routinely carries a large amount of equipment, including camping and hunting gear. At must also carry animal carcasses such as a moose that may be too large for many truck beds. A standard truck bed is about 6.5 feet in length for commercial pick-up trucks, although beds as long as 8 feet are commonly available as an option. A coated truck bed is also a useful option for hunting truck, since it will protect the truck from damage by the sharp hooves of a deer as well as metal equipment. Coated truck beds are also easier to clean due to their smooth, hard surface. A properly applied bed coat will retain its shape while remaining sufficiently flexible to prevent cracking when driving on rough terrain. The coating is typically made from polyurethane, which resists scratching and shipping. It’s also resistant to staining and corrosion from many chemicals. 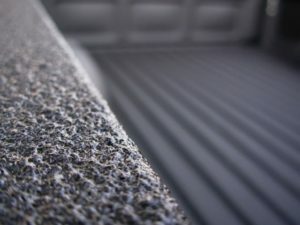 In comparison, a metal bed is subject to chipping and rusting, especially in wet conditions. Polyurethane is sprayed onto the truck in liquid form, which quickly hardens. It’s at least 1/16 inch thick, although the coating can be much thicker depending on the specific application. 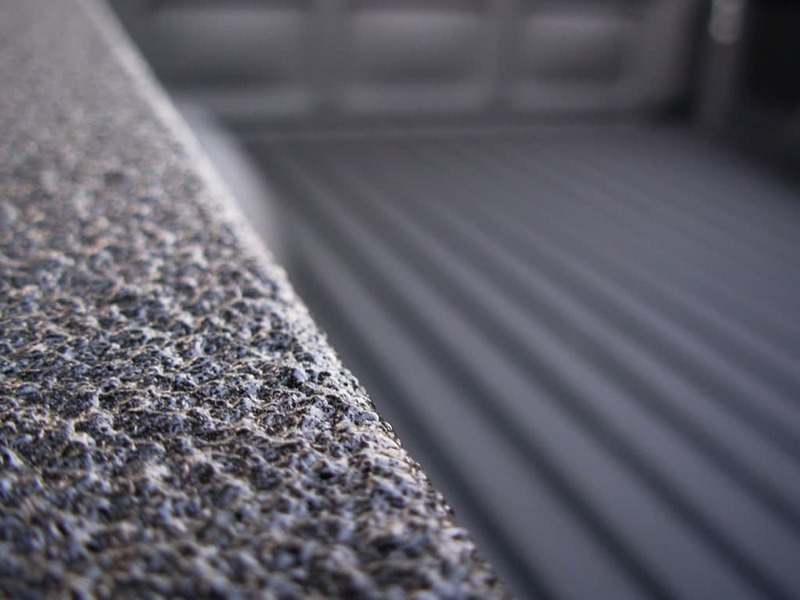 Thin coatings cost less but are more prone to chipping and cracking, while thick coatings can affect the truck bed’s shape. 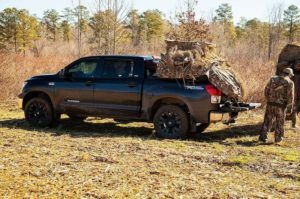 A hunting truck that will receive heavy use should have a lining on the bed and wheel wells with a thickness of about 1/4 inch. The sides of a hunting truck should have a coating of about 1/8 inch. which will allow for self-recovery even when the truck’s regular battery is dead. The power of a truck winch typically ranges from 2,000 to 15,000 pounds of total pulling force. A locking tool box is also a useful accessory for hunting trucks, since it allows hunters to secure their valuables when leaving camp.